The most common questions, and usually the first to be asked, are the ones above. Without the proper information, one can often be skeptical of the body wraps. So I am here to rid your fears and skepticism once and for all! Trust me, they are awesome and let me tell you why/how! 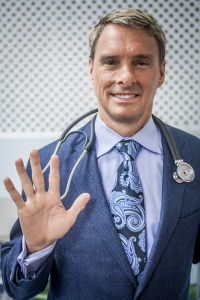 Renowned doctor and author, Dr. Don has dedicated over 20 years in the field, studying and practicing the uses of natural alternatives and the effects of nutrition. With emphasis on natural and nutritious remedies, Dr. Don confirms that the remedies can accomplish almost everything that conventional pharmaceuticals can. Dr. Don and It Works! products focus on giving the body what it needs to stay healthy naturally. Experiments conducted on himself, his family and other concluded that all natural alternatives not only worked as well, but occasionally even better than pharmaceuticals. Due to Dr. Don’s dedication, his hard work and research shattered the boundaries of possibility within the realm of natural medicine. Now collaborating with top scientists and formulators, Dr. Don ensures that through the Ultimate Body Applicator’s active ingredients, abundant with natural substances, users will look better, feel better, strengthen the immune system and feel overall rejuvenated! Introduced to It Works! 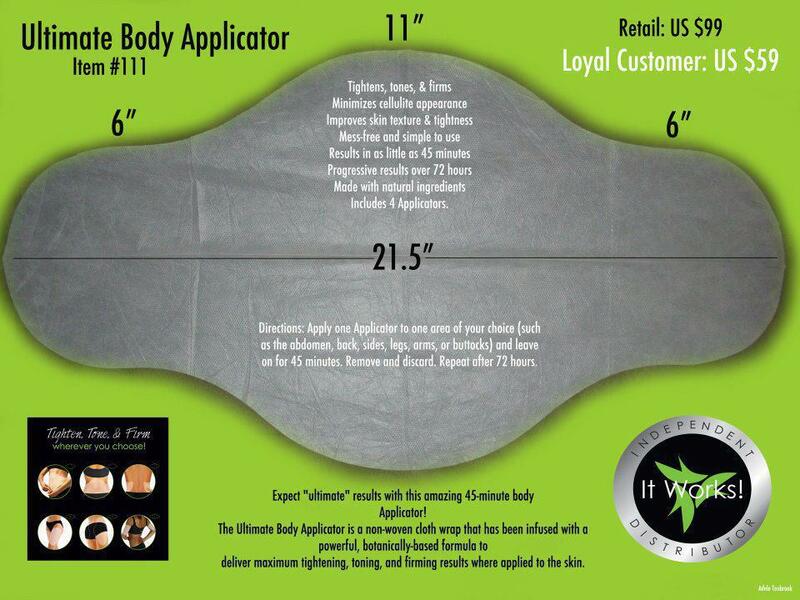 through exhilarated user testimonies, Dr. Don was drawn in to the Ultimate Body Applicator. Then, solely presenting the company’s nutritional products, Dr. Don was more than highly skeptical of the applicator’s true abilities. As a scientist, he viewed the product as a mere “gimmick”…yet his views were drastically transformed. Dr. Don first experienced the Ultimate Body Applicator with a typical abdomen application, accompanied with measurements before and after. Within 45 minutes, he did indeed see a result around his abdomen! Astonished with the immediate results, Dr. Don dug into the applicator’s ingredients – finding more importantly: the amazing health benefits for the skin. Described as the skin’s “fountain of youth,” the applicator provides the ability to feed the skin the nutrients required to facilitate the natural processes of skin renewal. The applicator allows skin turnover to not only occur uninterrupted, but also enhance and speed up the process. The definitive goal of the It Works wrap is to feel better in the most natural and healthy way possible. As Dr. Don explains, the strongest suit of the applicator as a vanity product rests within its ability to “get attention through users’ immediate results.” However, the benefits of the applicator as a health product fostering skin rejuvenation and reducing inflammation are undoubtedly unmatched. It’s true: you can look AND feel better! Using the most advanced nutrition, every It Works ingredient can be considered “food for the skin, allowing it to do what it wants and needs on its own.” The process of skin renewal is a vital component of maintaining good skin health. The natural active ingredients in the applicator target the processes of skin rejuvenation to produce multifaceted results inside and out of the body. The applicator’s ingredients help the body to increase the rate at which the skin regenerates itself. Skin growth progresses as new skin from the basal layer grows outwards, the skin’s top layer hardens and dies, then falls off. The ingredients in applicator work to “turn back the hands of time on your skin” simply through substantive, natural nutrition. Through the cell life process, waste materials are naturally formed and require removal. What if you don’t SEE an instant result after the first use or continued use? Not to worry! It is natural that results vary and some users may encounter a plateau along their journey. In order to sensitize the body and obtain the maximum benefit of the Ultimate Body Applicator, Dr. Don recommends that you stop applicator usage for 1-2 weeks before returning back to regular use. However, be assured that regardless of visual results, you are giving nutrient-packed food to the body helping to decrease local inflammation and renew the skin. In fact, Dr. Don emphasizes that the applicator’s nutritional value is so advantageous for skin rejuvenation, that even if its ingredients did not assist toning, firming, and tightening, the numerous health benefits would remain triumphant over vanity benefits. To experience more efficient, increased skin effects, it is also recommended that the applicator is applied directly onto the skin. An optimistic attitude can benefit you! Filled with essential vitamins for the skin, the applicator gives the body what it wants and needs to stay healthy. As the largest organ system of the body, it is crucial to properly nourish the skin. With the ability to target specific areas of improvement, the results of the Ultimate Body Applicator are more effective than the simple diet. Within four days, the ingredients work on the surface and into the tissue. In order to obtain 100 percent benefit of the product and allow the nutrients to work in their entirety, it is recommended not to use the applicator more than every 72 hours. If you would like to listen the call with amazing Dr. Don, you can do so here. Still have questions or curiosity? Read more within my FAQs here! To learn more about ordering the applicator or becoming a distributor, redirect yourself here. If you need any assistance or would like direct contact, please feel free to reach out to me!